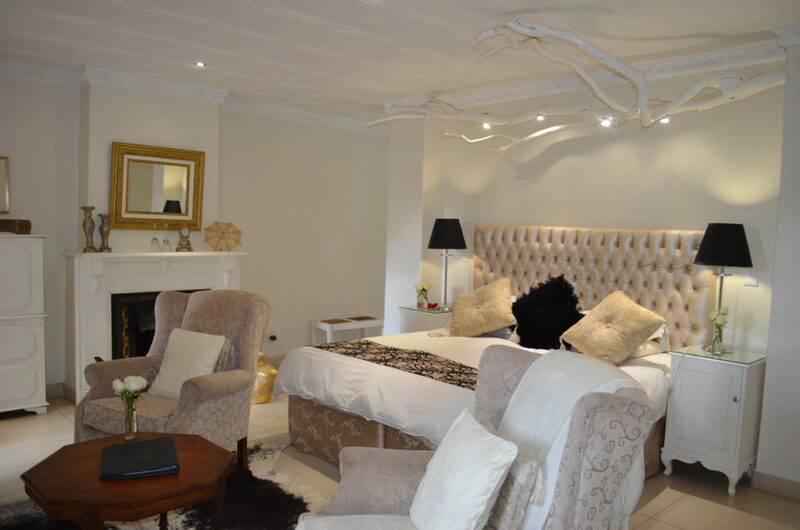 This luxury room is equipped with a king size bed (or 2 singles) and lounge. 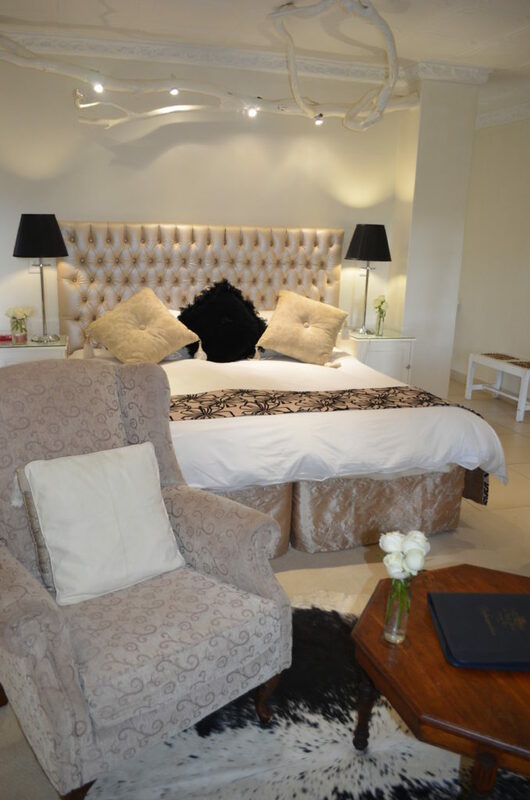 Enjoy a coffee in front of the open fireplace or a sundowner on the private veranda while utilising the free WiFi. 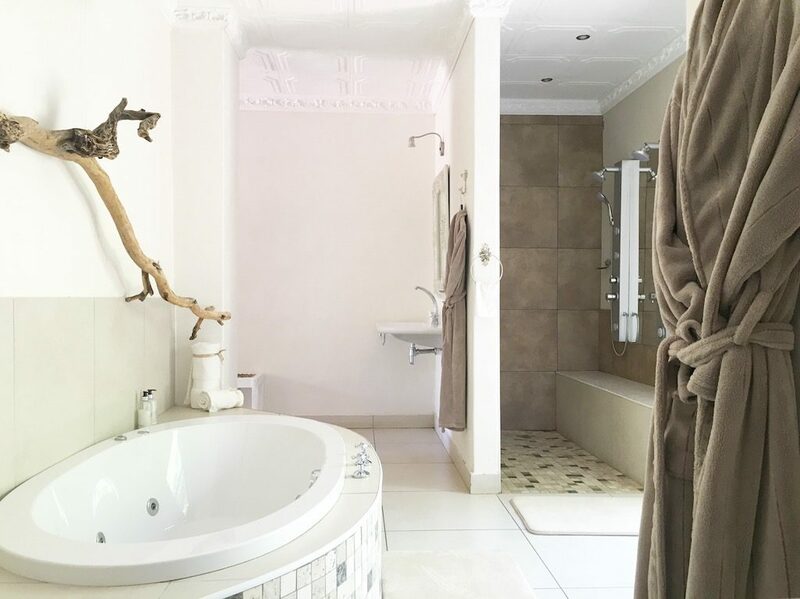 The en-suite bathroom is equipped with an inside jet bath, private WC, and both an inside and outside shower. Breakfast included in room price. 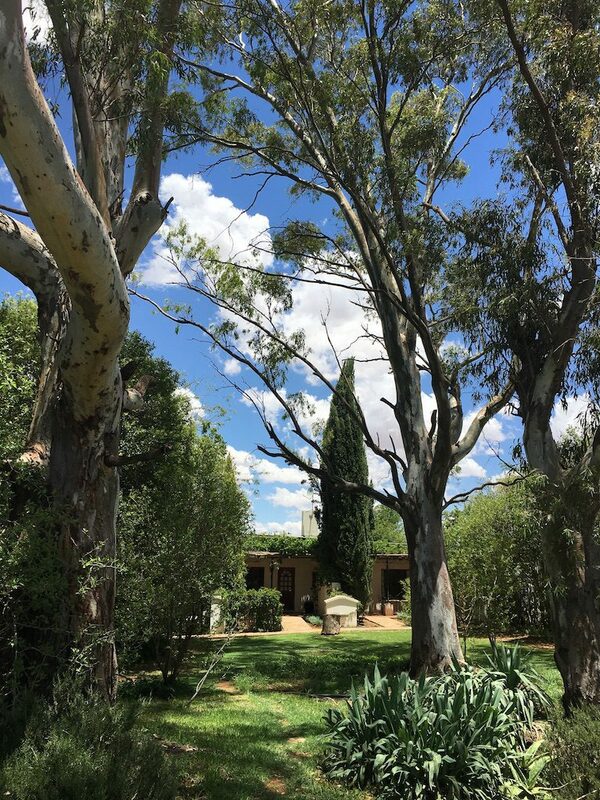 In the beginning years of the guest house , Marie wanted to pay tribute to her grandfather Judge Smit by building this room in his honour and prominent sitting judges from Bloemfontein court have all stayed here over the years. A romantic room with french style décor in white, ivory and gold.